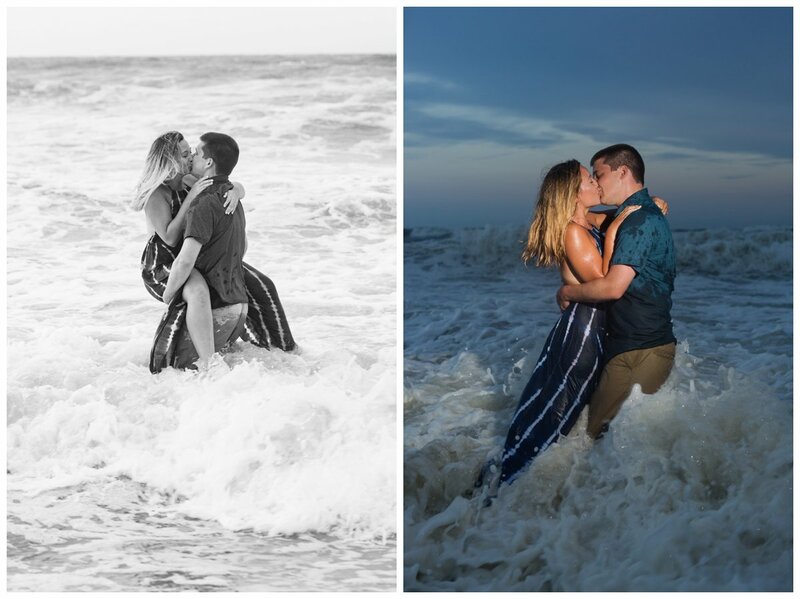 Who doesn’t love an engagement session on the beach?! 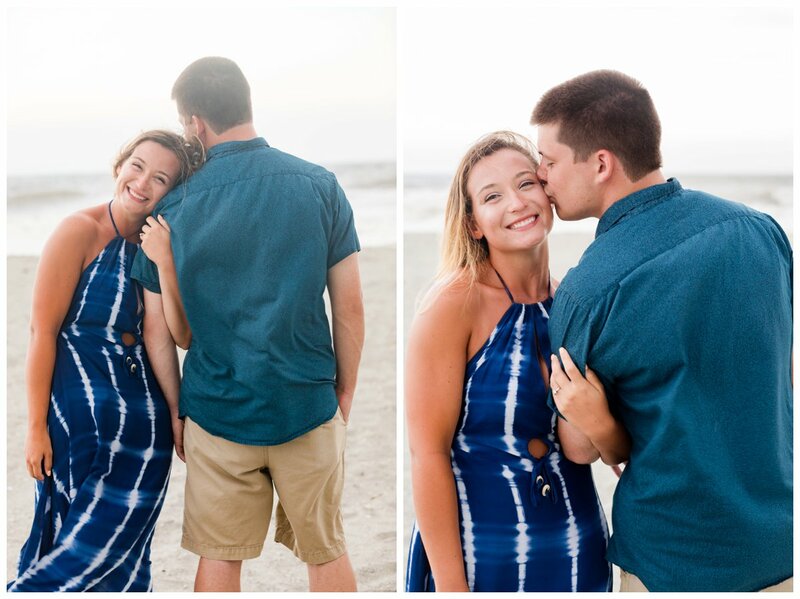 Jill and George wanted to have their engagement session on a beautiful beach in North Carolina, and I am so happy with their choice. Holden Beach is an adorable, small beach town in the southern most point of North Carolina. A fun fact about Holden Beach, is that the beach itself actually points south as opposed to east. We made use of the beach itself as well as the local pier. 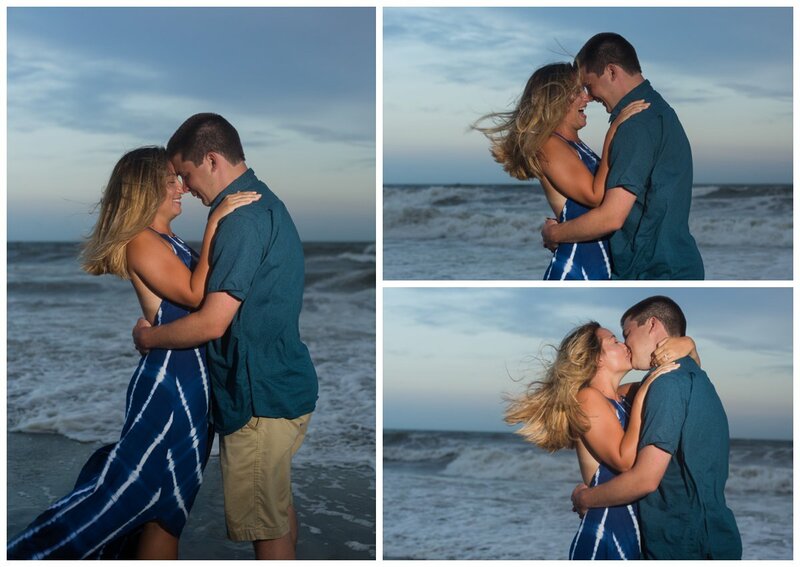 The original date we had picked ended up being a dark, cloudy evening with heavy winds; thankfully they were still willing to tough out the weather conditions to get some fun, hair blown photos. We were covered in salt water that was sprayed on us via the wind off the ocean, but it was worth it. Jill and George were also open to visiting the pier on a different evening in hopes of better weather, and we had just that! Jill and George are such an adorable couple. They have actually been together since the 6th grade, how awesome is that?! When you are around them, it is so obvious they are meant to be. They click so well, there is never a dull moment as they are always joking around and laughing. They know just how to keep each other so very happy. 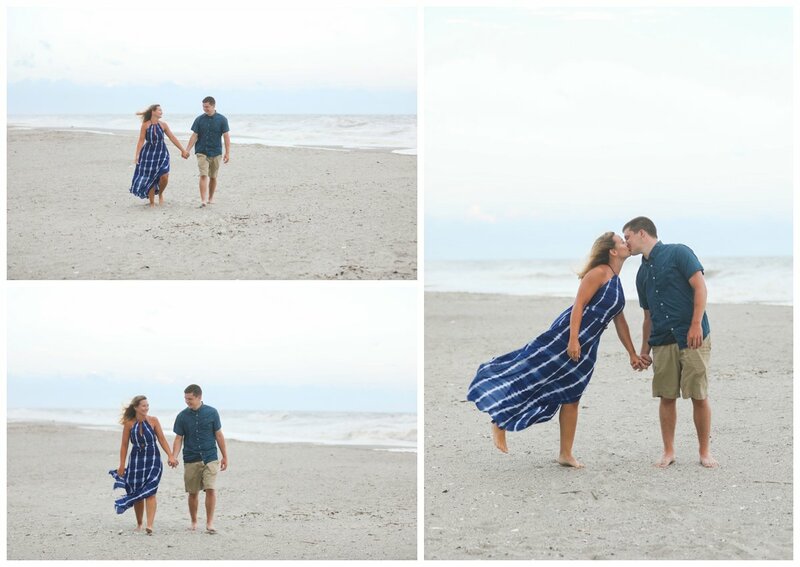 Enjoy these genuinely fun, and sweet photos! 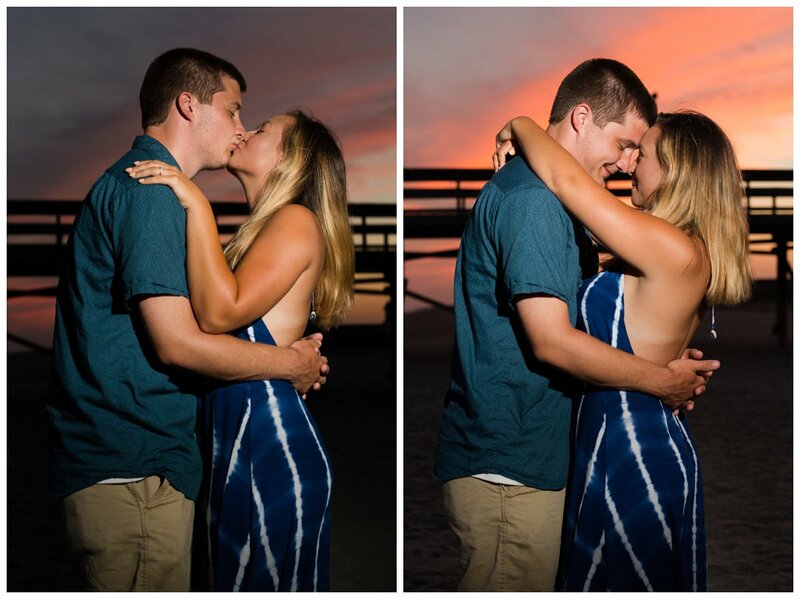 Congratulations Jill and George, I am so excited for the two of you. 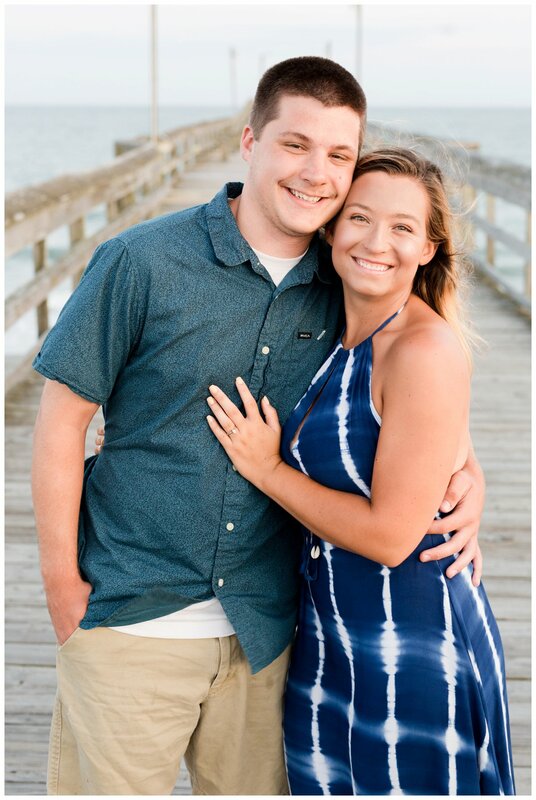 I can’t wait to be a part of your special day!